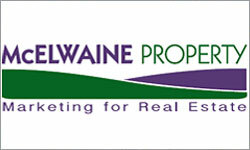 2900acres with great position. This property is well presented with a 4BR large Homestead with all mod cons. These include main BR with large ensuite and walk-in robe. fully carpeted throughout, ducted evaporative air-conditioning, wood and gas heating, large spacious living area, modern kitchen with added bonus of slow combustion stove as well as electric stove. Other features include a fully fenced above ground swimming pool with decking, covered entertaining area and summer house. 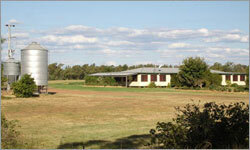 This is a picturesque and profitable property of prime grazing land in the highly sought after Paterson Valley. With over 1.5kms of frontage to the Paterson River, 307 acres (127 hectares) of highly productive land ranging from river flats to ridge country. Beautiful home sites exist with power and phone nearby, and this property offers the opportunity to create the perfect, riverfront lifestyle property with excellent earning potential. Divided into 4 paddocks with 6 dams, stock-proof fencing and large hay sheds, “Talga” is ready to work for you. Highest quality and standards in flowers , weddings and event theming. 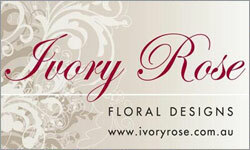 Ivory Rose Floral Designs is a family based Business delivering only the highest quality and standards in our flowers , weddings and event theming. Based in Padstow, and catering for all areas, we have helped bring dozens of special events to life with our Centrepieces and Flowers.